Fawn Annan, president and group publisher of ITBusiness.ca’s parent company IT World Canada, has been awarded the Queen Elizabeth II Diamond Jubilee Medal for her contributions to Canada’s technology industry. Annan was one of 38 medal winners announced today by the CanadianAdvanced Technology Alliance and i-CANADA. 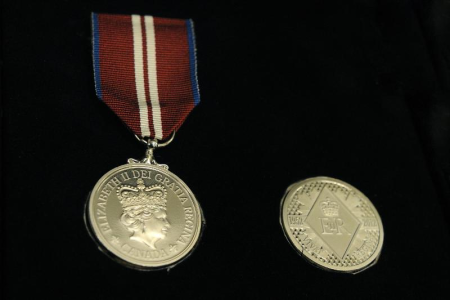 IT World Canada also had asecond reason to celebrate as David Jonah, strategic advisor to Annan,was additionally named a winner of one of the special jubilee medals. “These leaders were selected because of the impact they made on societyand business from the application of technology. Many have beentechnology innovators as well as catalysts for nationaltransformation,” CATA president John Reid said in a released statement. Medal winners will be honoured onOct. 21 during a dinner and awardceremony in Montreal at the i-CANADA Summit. “A Canada inConversation,” a multimedia piece of work created by medal winner BengtJorgen fusing dance, music and technology, will have its premiere atthe event. Other honourees include Fredericton mayor Brad Woodside,crowdfunding advocate and Helix Commerce International CEO CindyGordon, and ING Direct CEO Peter Aceto. In her current role at IT World Canada, Annan oversees operations atITBusiness.ca, IT World Canada, Computer Dealer News, DirectionInformatique, ComputerWorld Canada and Canadian CIO. Jonah provides strategic consulting tor IT World Canada on digitalmarket place analysis, Web site architecture, SEO and social platforms.He is also CEO of Jonah & Associates and publisher ofLocalintheKnow Publishing, an online portal for marketing localbusinesses and events in communities across New Brunswick.